After setting up your Homepage Social SEO, let’s take a look at the Link Manager, which is featured in SEOPressor Connect to help save the hassles of going through each blog post. In fact, all of the links that you have in your blog posts will all be displayed in Link Manager for you to check easily. Let me show you how you can do it in SEOPressor Connect. 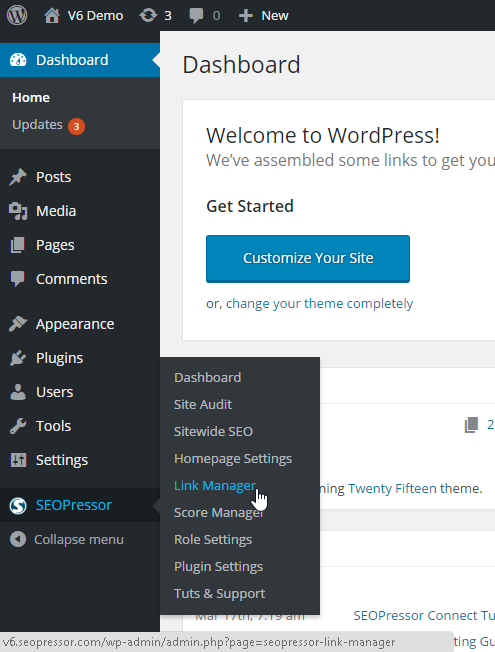 Step 1: Go to the WordPress menu on your left, click ‘SEOPressor > Link Manager’. 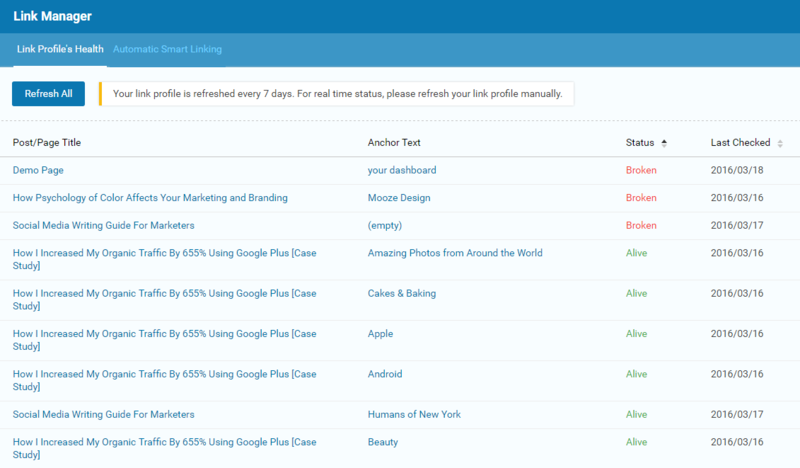 Once you’re directed to Link Manager, you will see the status of your links. As you can see right here, the anchor text of ‘your dashboard’ in the ‘Demo Page’ blog post is broken. So how should I fix this? Step 2: Click on the ‘Demo Page’ blog post. You will be directed to the ‘Demo Page’ blog post. From here, you can look for the broken anchor text. Let’s make some changes about it. Step 3: Click ‘Update’ once you’re done. Last Step: Now, let’s get back to ‘Link Manager’ to check our Link Profile’s Health. The link is now Alive. There are only a few clicks and changes needed, convenient, isn’t it? Instead of checking your blog posts one by one to see which link is broken, you can now check it all in one place – Link Manager.